HWTM Guest Contributor, Maureen Anders of Anders Ruff here to share a Rainbow + Chevron Arts and Crafts Party by Ellen Bessette Events. 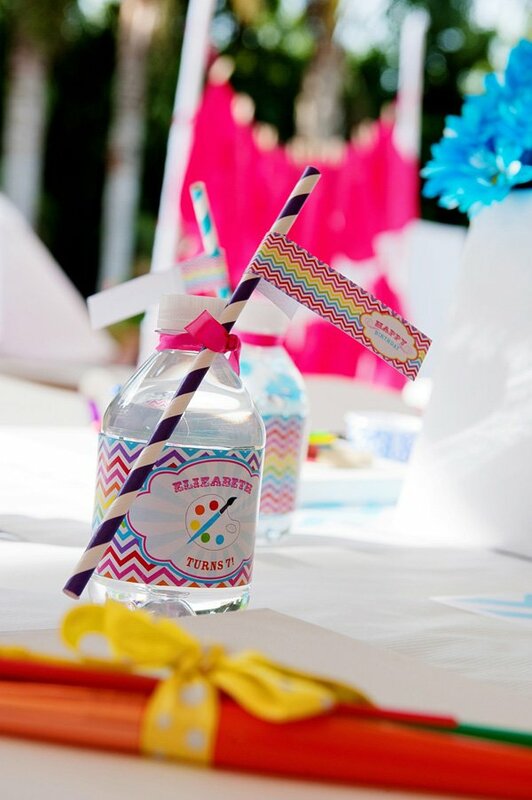 The birthday girl’s friends got to make a splatter at her 7th birthday party decked out in chevron and full of arts and crafts stations. 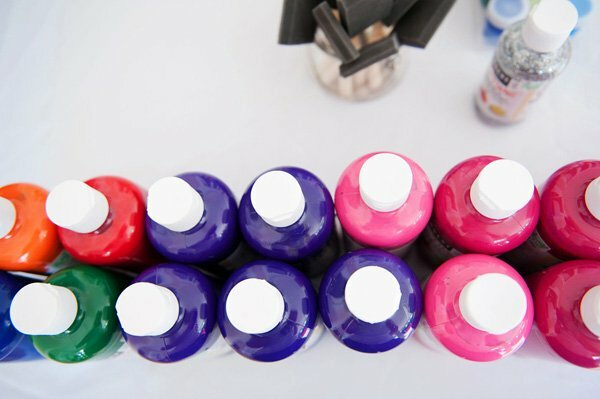 The contrast of the bright rainbow colors on a white backdrop makes me want to jump right in and start painting! 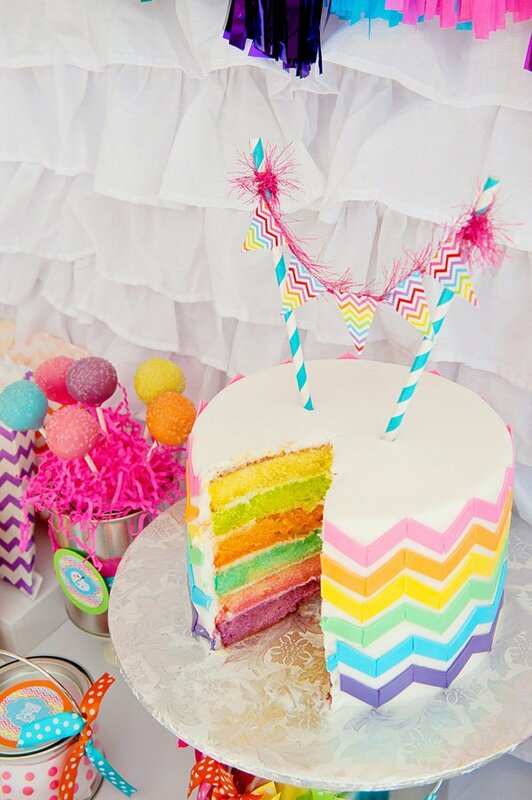 Cookie painter’s palette display and chevron cake (with neon cake layers)! 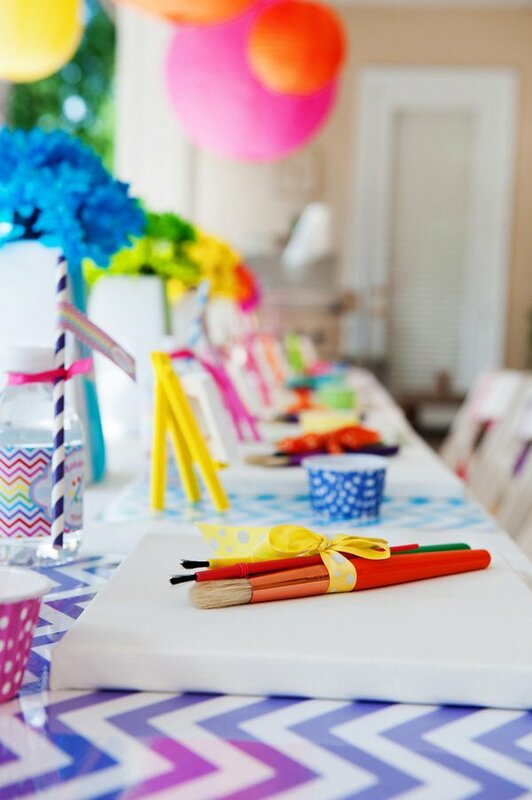 The birthday girl picked her own theme of arts and crafts since she loves to paint and loves to do crafts with her friends. 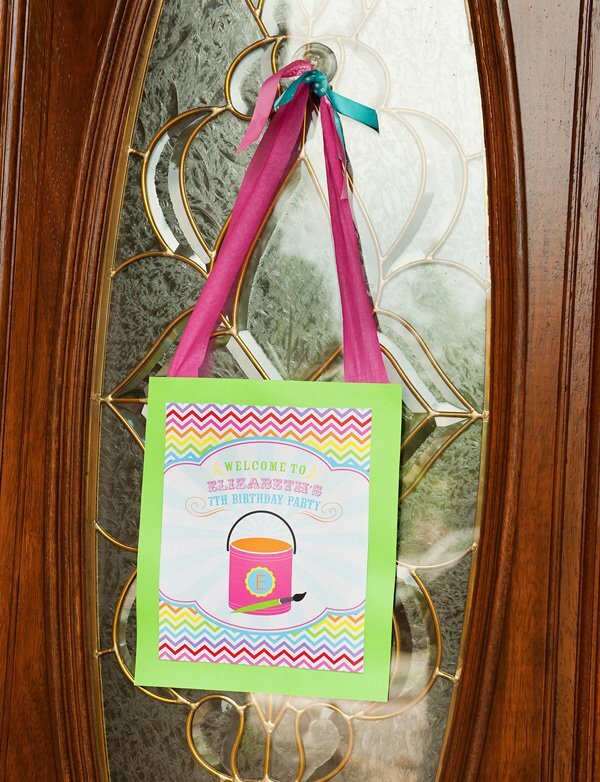 I came across Anders Ruff‘s rainbow chevron printables and loved the package. 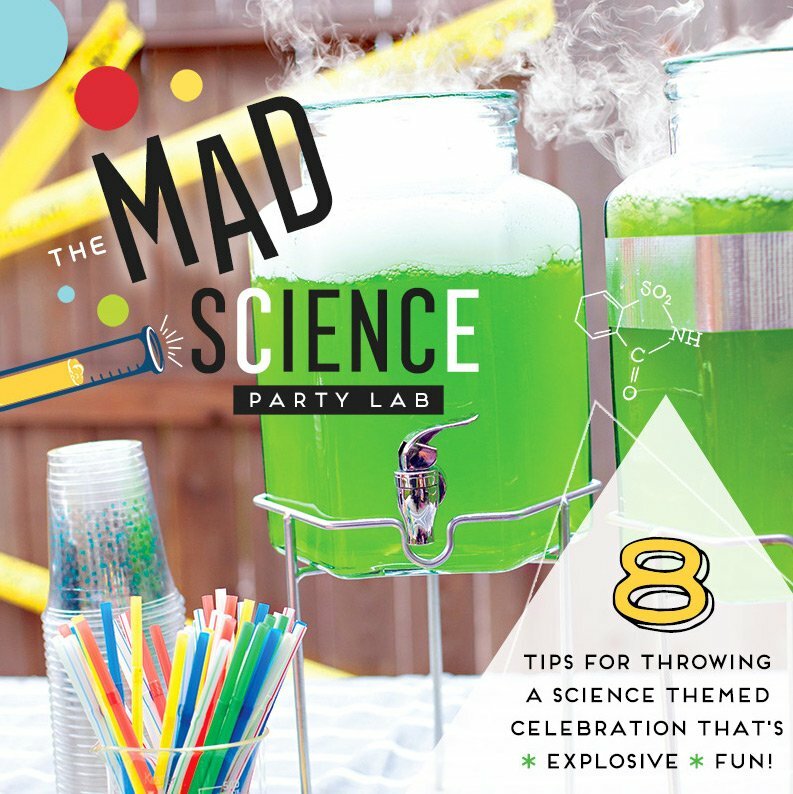 I love the modern, colorful designs and knew I had to use it for her party. 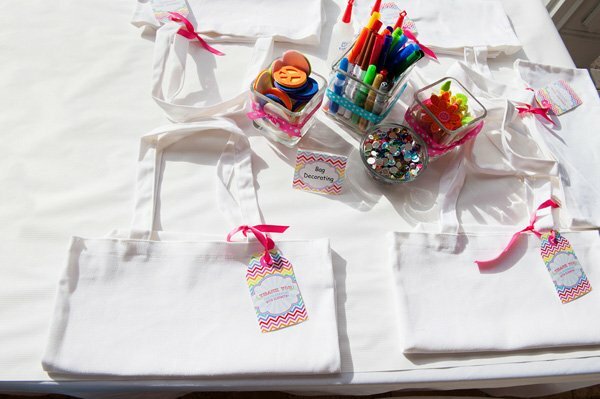 Upon arrival, the girls found their personalized aprons hanging near the art table which also doubled as their party favor. 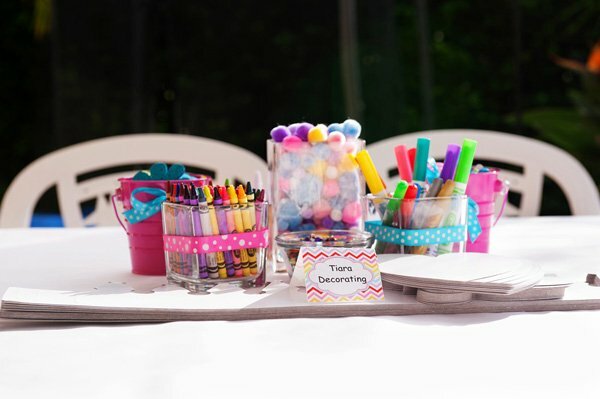 We had an art table that consisted of a place setting for each girl with their own canvas and painting supplies. 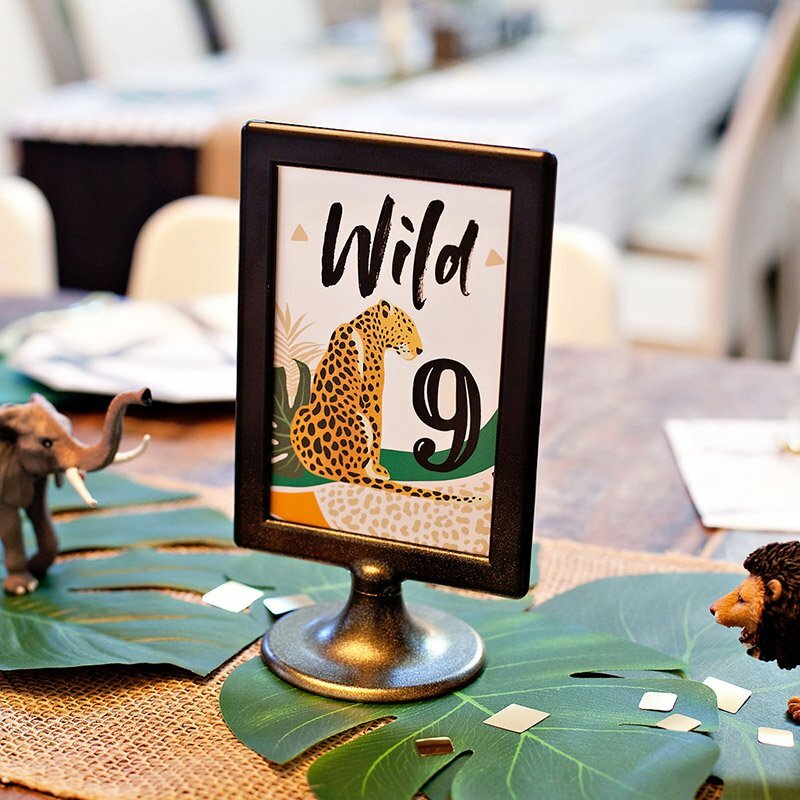 I created place cards using the printables and made them into mini-canvases on an easel. The girls loved finding their own seats. 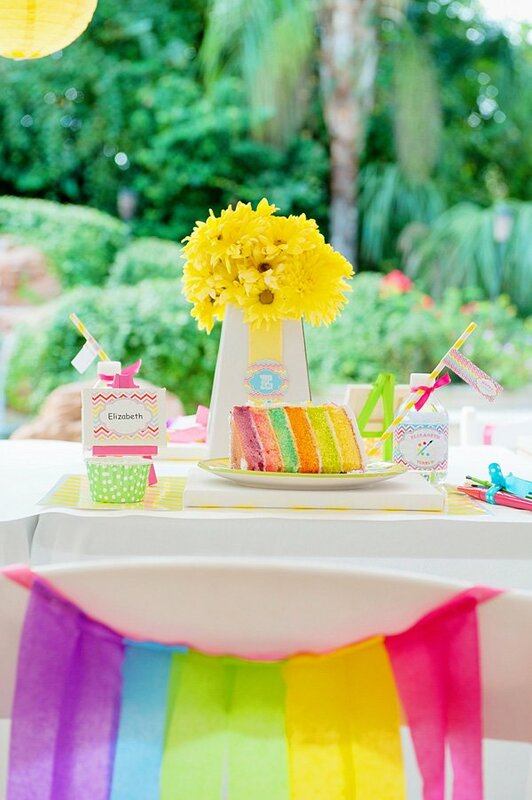 I made place mats using the coordinating papers in the package and continued with the rainbow theme down the table. 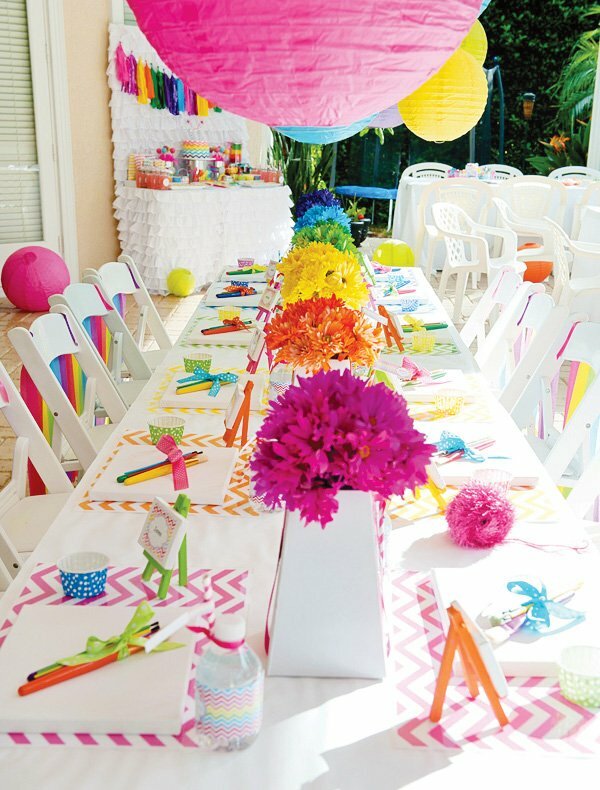 Along with that, I sewed rainbow streamers onto ribbon to tie to the back of the chairs. 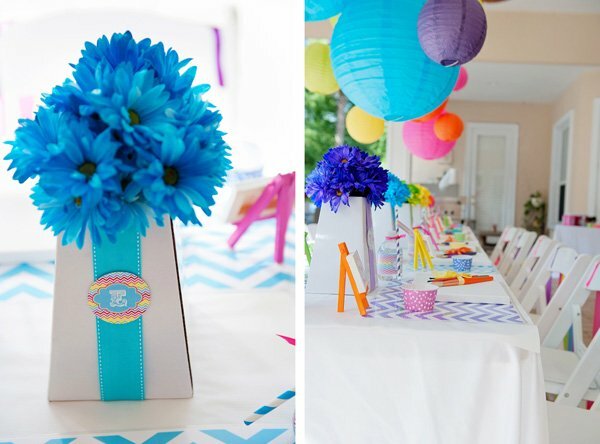 I decorated the flower blume boxes with ribbon and matching printables and hung paper lanterns directly over the table. After the girls finished their masterpieces, we broke up into groups and rotated to the different craft tables. 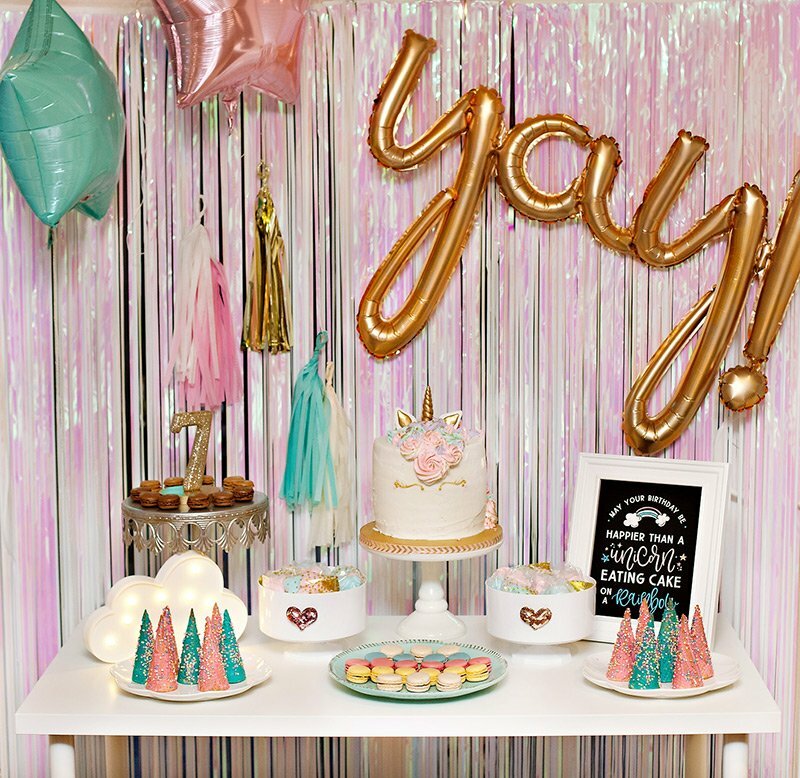 The birthday girl picked out all the crafts herself and consisted of a drawing station, assembling candy necklaces, decorating canvas bags and designing fun tiaras. And last but not least, the girls were able to make a giant masterpiece. I built two 6×9 foot frames and wrapped them with canvas drop cloths. I placed paint buckets, brushes and white t-shirts nearby and told them to go to town. 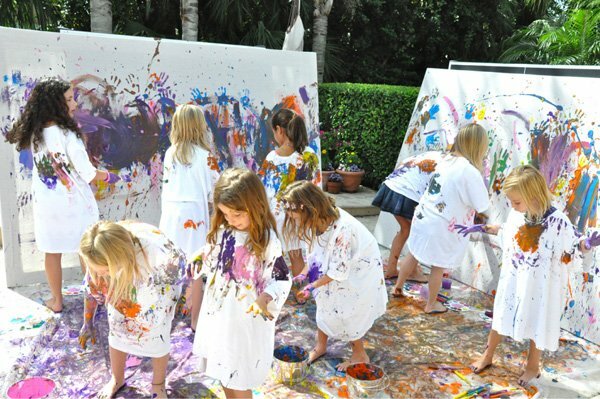 They went crazy and had lots of fun giggling and painting like maniacs. 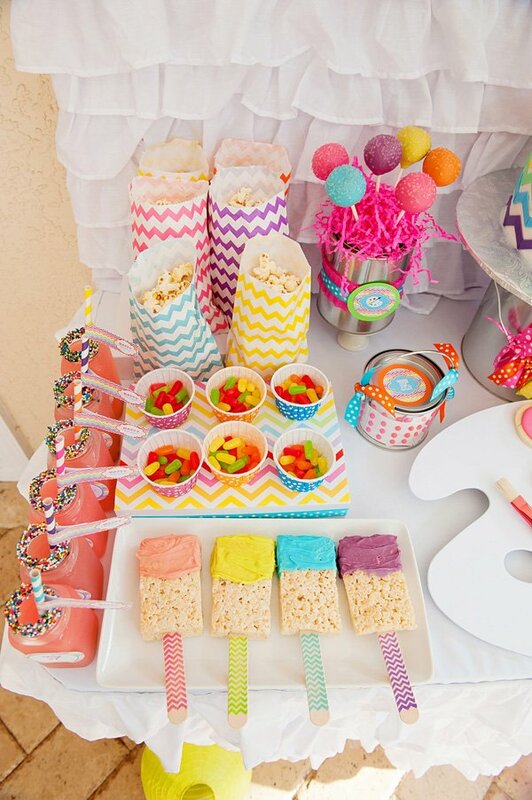 The dessert table is always one of my favorites. 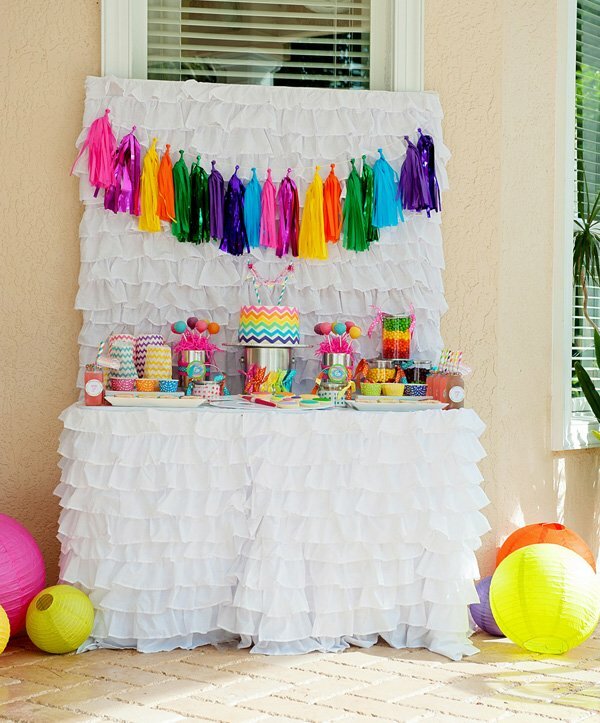 I wanted to keep it girly and made a ruffled table skirt and backdrop. 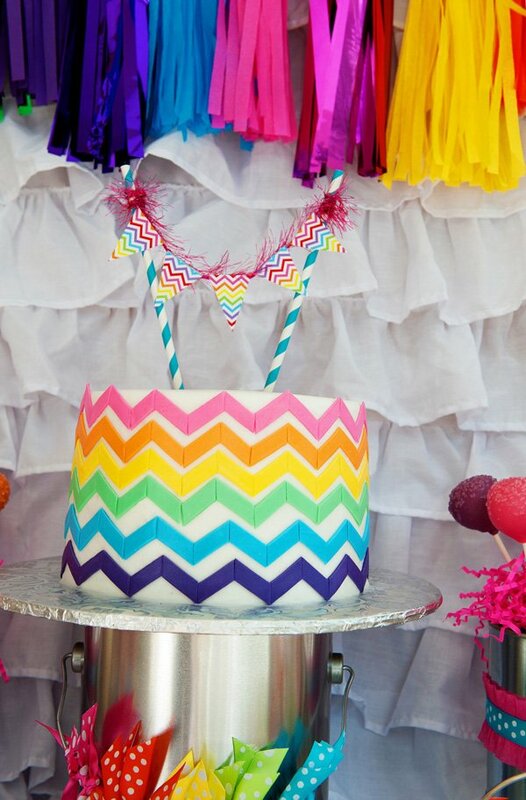 I loved the tassel garland since it reminded me of paint brushes and the colors popped to tie in the rainbow theme. 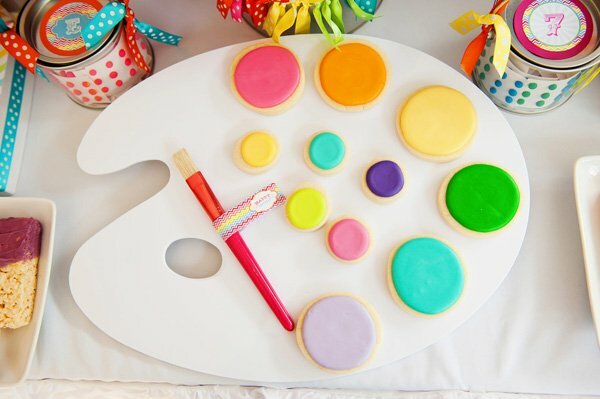 I wanted to implement the art theme by using an art palette to hold the cookies that resembled paint. 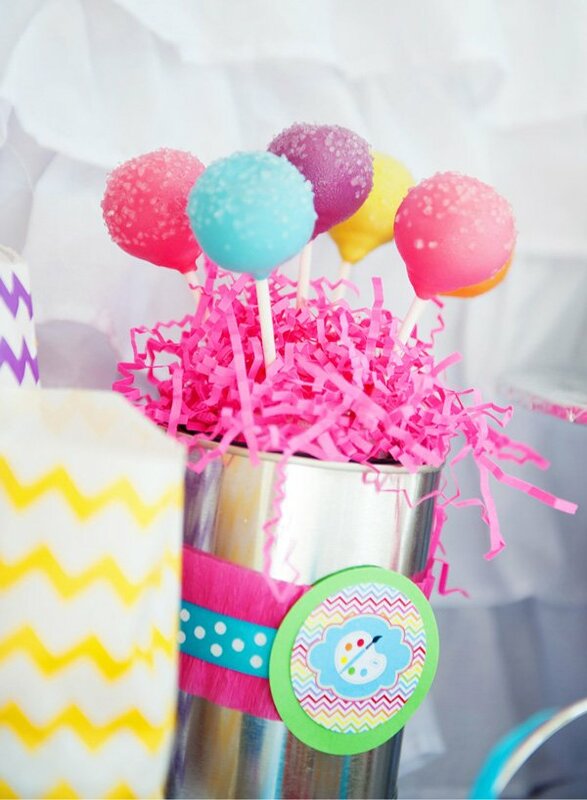 The birthday girl wanted rainbow cake pops and a rainbow cake. My baker (Everything Cake) did a great job matching the cake to the printables. I was stunned when I first saw the cake! 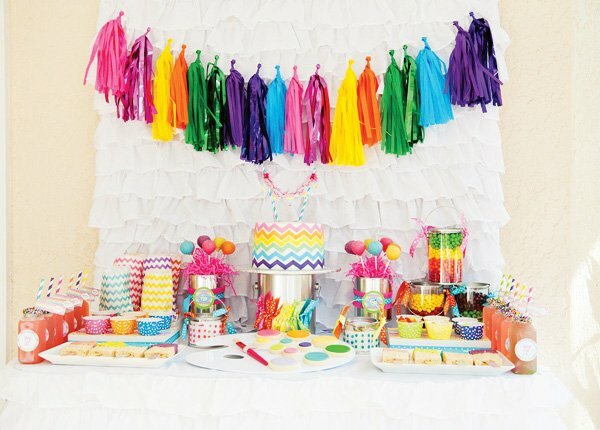 I used the chevron paper in the package to make a last minute bunting banner on top of the cake and the ‘cake stand’ was a paint bucket from home depot along with the paint buckets holding the cake pops. 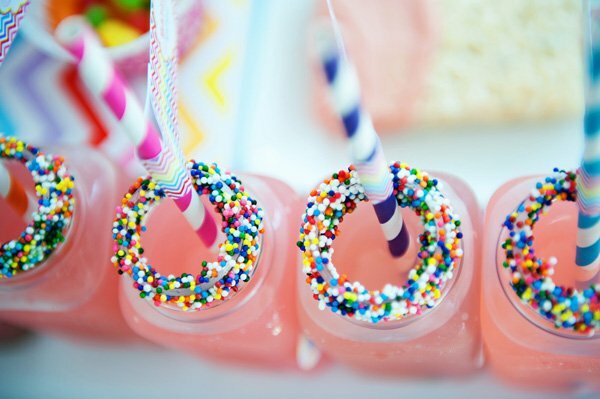 The rice crispy paint brushes with chevron wooden sticks were a hit along with the pink lemonade with rainbow sprinkled rims. The girls’ sweet tooth’s were all satisfied! 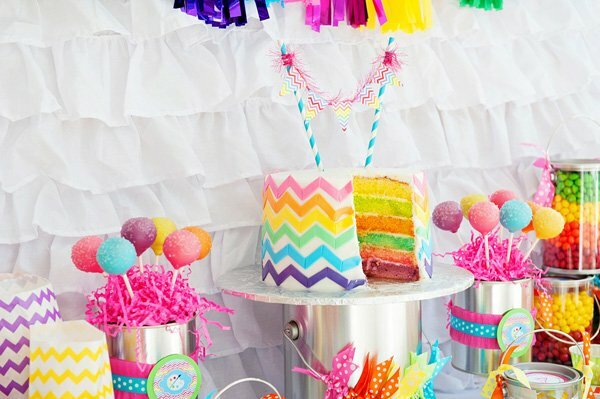 I'm so in love with this party! LOVE this! 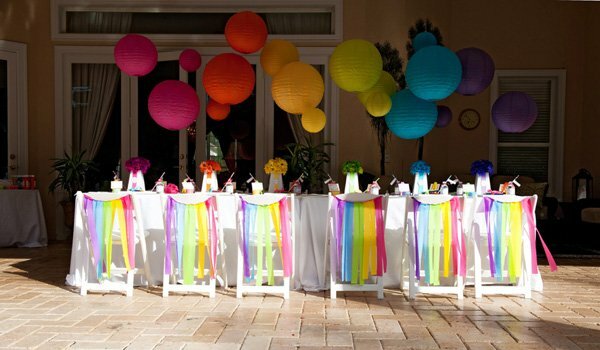 the rainbow lanterns over the rainbow flower arrangements..VERY CREATIVE! love that last picture. 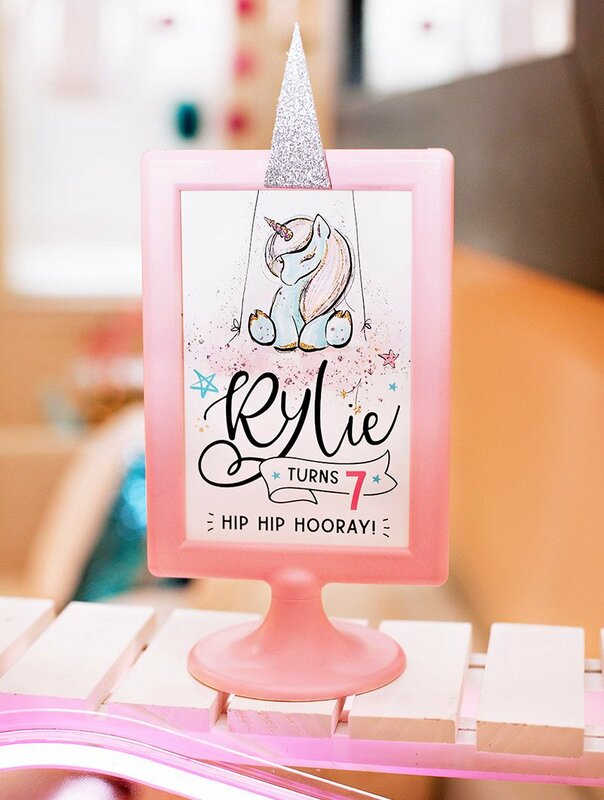 that is what the birthday girl and her party guests are sure to remember! 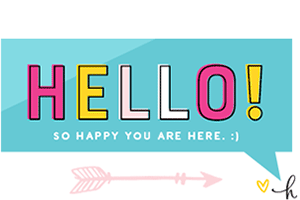 Thank you for featuring! 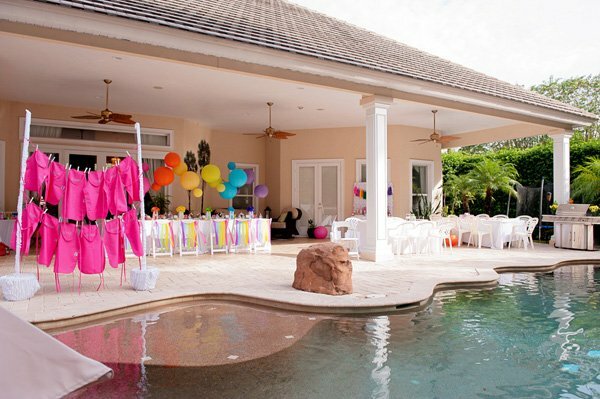 :) It was a great party! 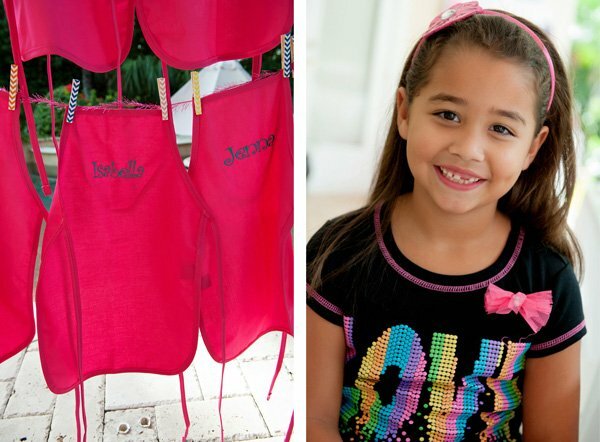 love the kids aprons! where did you get them? 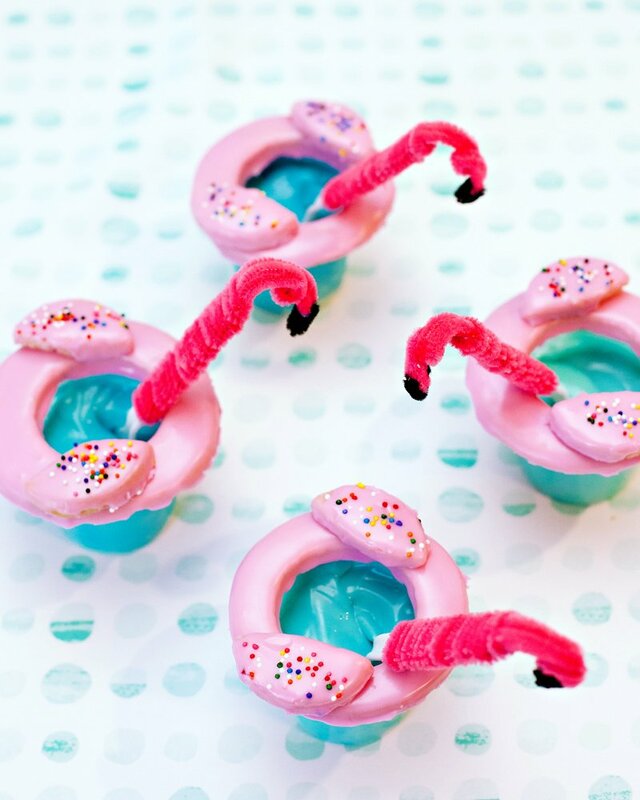 Love this stuff, my kids would like! Awesome! Any kid would love but looks way too expensive. But thanks for the inspirational ideas so I can pickna couple of things you did. 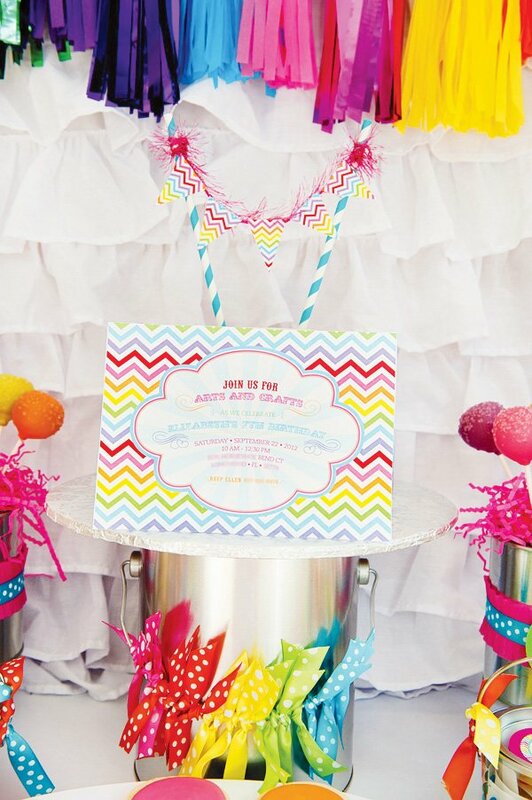 Can you tell me where I can find the different colored chevron placemats? I looked on Anders Ruff (and everywhere else!) and can’t find. thanks. Just Artifacts has such cute products like this! !